As part of the total event experience, video entertainment enables you to tell your story in a way that is both dynamic and energizing. TalkingTree Creative brings together all of the key services in-house, from live entertainment to video production. This means that we can truly deliver a complete experience to your audience, from concept to completion. Our video production company can provide video entertainment services to clients throughout the Baltimore-Washington corridor, the greater Mid-Atlantic region, and nationwide. There are nearly endless ways in which video entertainment can be incorporated into your event, which is why it is important to work with an experienced custom video production company that can provide you with recommendations for how to use video to enhance your live event. Maybe your corporate event would benefit from a pre-recorded training video. Or maybe you’d like to incorporate a video message from your company CEO during a product launch campaign. No matter your event, we will come to the table with ideas that are rooted in our decades of combined experience with event planning and video production. We want to tell your story in a way that will connect the audience with your message, and video entertainment can be a powerful tool to this end. Why should I consider incorporating video entertainment into my next event? Video content is exciting and engaging and can incorporate an element of visual interest into your next event corporate seminar, conference, or speaking engagement. 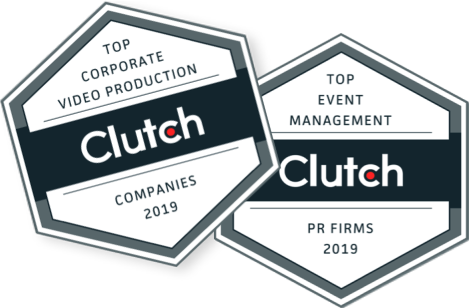 Whether you are planning a product roll out or a nonprofit awards ceremony, incorporating video entertainment will elevate the information you provide and create a dynamic experience for your audience. In addition, video content can make an event feel more interesting and engaging. Your attendees want to feel connected and in-tune with the information you present and video can help to generate authentic excitement about the material you are presenting. Whether you are planning a conference for 75 attendees or 7500, video content can make each and every guest feel like they are truly a part of something bigger than themselves, leading to better outcomes in the long run. We know how to use it. Contact us today to find out how we can help.